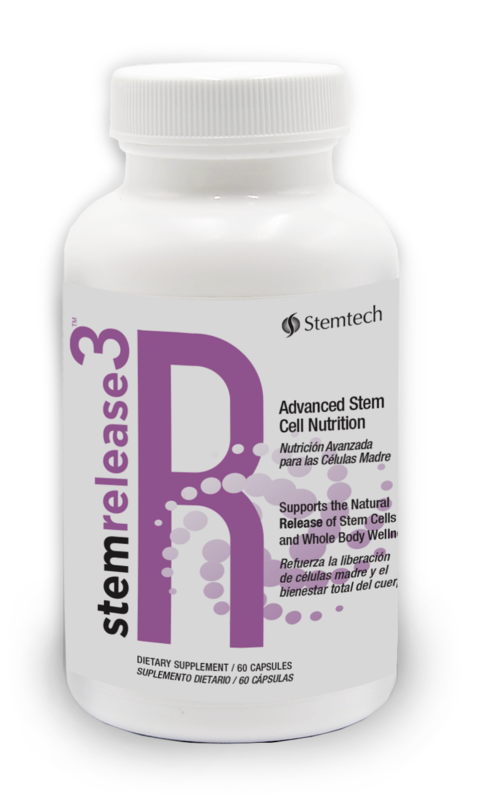 stemrelease3™ is our most advanced stem cell nutrition product to date. It is the cutting-edge of modern science and performs in two ways. First, stemrelease3 is the only product on the market that contains stemrelease® – an exclusive blend of clinically tested ingredients that help release millions of your body’s own stem cells from the bone marrow into the bloodstream.† Studies show that the more stem cells you have circulating in your blood, the greater the ability of your body to naturally renew itself. Cordyceps sinensis is associated with stamina, longevity and a wide variety of health benefits.†Cordyceps is certified organic. Unlike other stem cell products, stemrelease3 does not contain cells or derived from cells. stemrelease3 is 100% natural with plant-based ingredients. For more about stemrelease3 visit the Product Facts. I wanted to give some feedback... I used Stemtech SE3 and the Stemflo and ST-5 for a year before I got pregnant (with my second child, 16 years after my first child was born) and my pregnancy, delivery and post-partum was AMAZING!!!!! My daughter is super advanced in everything from birth. She is now 18 months and has been AMAZING thus far. I only gained 25 lbs and was down that plus 10 lbs after giving birth. Thank you all so very much for everything you're doing!